Digital transformation will continue to be a key element of the corporate narrative over the next few years and omnichannel communications will be a vital part of this discussion. Yet while bots, voice-enabled integration, artificial intelligence, and the rollout of 5G are white hot topics, there is still room for changes in other areas of the communications stack with the opportunity to have a significant impact for businesses. Here are our predictions for the years ahead. Digital transformation efforts have pushed the importance of the telephone down in many omnichannel integration efforts. Yet while many companies are looking to disrupt the industry with chatbots, digital assistant integration (think Alexa or Google Home) and other emerging tech, the telephone is far from down and out. What we observe from our customers is that the ease of procurement for cloud-based solutions coupled with robust data analytics and availability of single-use phone numbers now enable the phone channel to match other digital channels for visibility into sales and marketing ROI. One area that is well past its prime is the SMS short code. Technologically it just makes sense to part with this relic as we're well entrenched a text-native world, particularly for the millennial generation. Customers are already more likely to interact with a "bot" vs. a human on the main corporate, support or sales toll-free or local phone numbers, so it's time to take it to the next level as we can now easily text-enable any telephone number. Enabling business texting on native numbers will take the burden off the customer and provide a more powerful and personal form of communication for sales and service interactions. Since we're on the topic of bots and SMS, 2019 and 2020 are poised to be the years of significant integrations of artificial intelligence and "bot" features into business SMS. This will begin with the integration of SMS-linked interactions that are currently funneled and tracked through other sales tracking and data analytics tools (think CRM and marketing automation products). Most early use cases from customers are simple keyword-driven parameters that rules-based rudimentary or narrow AI will satisfy. But this will grow and mature as dictated by both the results achieved and advances in AI capabilities. Application-to-person (A2P) messaging is a useful resource with a plethora of legitimate uses from emergency notifications, corporate confirmations, etc., but businesses are still struggling with how to incorporate A2P in a less "spammy" way. This is another area where artificial intelligence can help. As content filters from communication service providers increases in sophistication, the share will shift from lower-quality traffic to more meaningful use of A2P messages. We're at least five years away from full-scale adoption of Rich Communication Services in the U.S.
Rich Communication Services (RCS) is a way for carriers to deploy a more engaging platform like we've become accustomed to with the like of iMessage and WeChat. However, in the U.S. there are significant industry road blocks at multiple layers. Without more incentives to drive success and pace of adoption, it's highly unlikely we will have a clearer path to full adoption of RCS. Businesses will continue to face talent shortages in key IT departments but thanks to the combined experience of a global SDN providers coupled with robust CPaaS solutions, more organizations will be able to reduce the IT burden of provisioning services. Expect to see automated near-real-time provisioning of IP ports, delivering instantaneous voice and messaging services all without ever having to engage an internal engineer or sit on a provisioning conference call. Joe is the Chief Technology Officer and has been with Brightlink since its inception in 2009. Joe built the original Brightlink network, and his organization is responsible for sales engineering, network engineering, information technology, and product development. 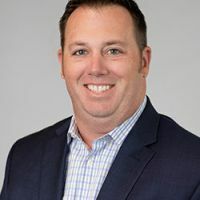 Prior to Brightlink, Joe spent 10 years in other lead technology roles including Commvault, where he led the team of sales engineers in the Southeast designing complex data protection solutions, CTS/Agilysis, where he was a lead sales and service engineer for storage and data retention solutions for Dell EMC customers, and Troutman Sanders, where he was a senior systems engineer and a Microsoft certified consultant. Joe is a technology thought leader in the industry and has been a speaker at key industry events such as ITExpo. Under Joe's leadership, Brightlink products have garnered numerous technology industry awards including TMC 2018 Customer Product of the Year, CIO Applications 2017 Top 25 Unified Communications Solutions Providers, and TMC 2017 Tech Culture Award.